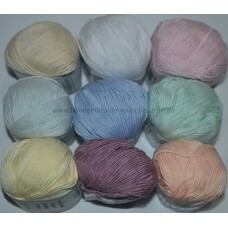 Excellent quality, soft Candlewicking Cotton by Cascade House in 9 beautiful colours. 85 metre balls..
Crewel Wool is spun from long staple fibres into a 2 ply wool. Cascade House has selected the perfec..
Colour Chart will be available soon. If you know the number please type it in the options box. .. This high quality silk thread has a metallic strand running through it. The result is a beautiful gl..
Beautiful Pearl 12 Filament Silk by Cascade House is available in the same colours as the stranded s.. This is a pure natural silk full of lustre. 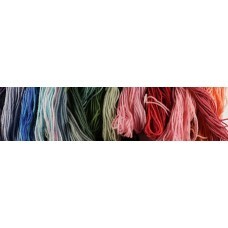 Combine with other Cascade House embroidery yarns for th..
Cascade House's Stranded Silk is spun from the highest quality raw silk and is a 6 strand thread of ..